Ever wondered what it’s like to commission a unique timepiece from Vacheron Constantin’s Atelier Cabinotiers? 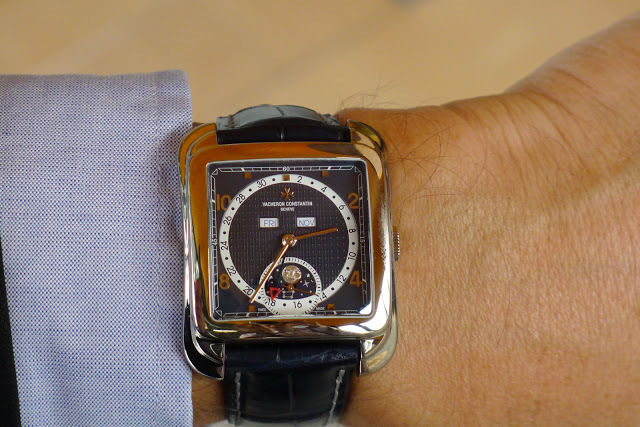 A member of The Hour Lounge shares his journey in commissioning a unique Toledo 1952 from the Atelier Cabinotiers of Vacheron Constantin. Atelier Cabinotiers is the department of Vacheron Constantin which creates unique timepieces at the behest of clients, including the Vladimir ultra-complication unveiled in 2011. Liger, a member of The Hour Lounge, the official but lively Vacheron Constantin forum, has just told the tale of the unique, blue dial Toledo 1952 triple calendar wristwatch he commissioned. Taking a year and a half from initial idea to final product, he explains the specific details of his timepiece, as well as the process of creating the unique timepiece. One of the notable tidbits from his tale is the fact that Vacheron Constantin creates two examples of every component requires for a custom or bespoke timepiece, which not only creates a spare part but also allows the client to choose the example he prefers.